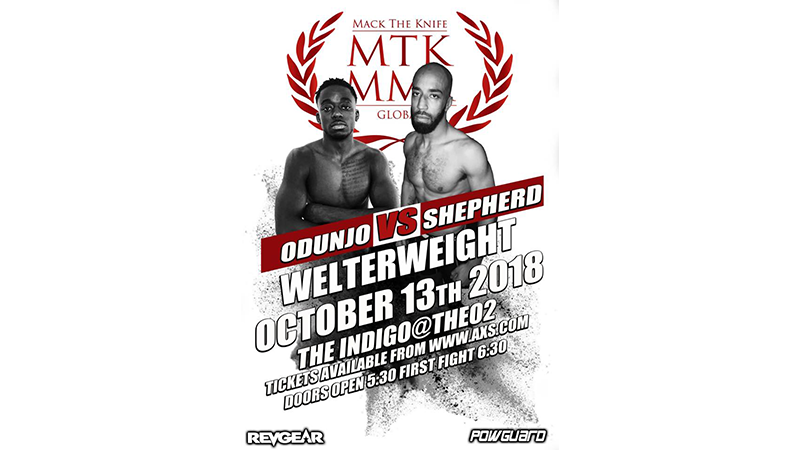 Jahreau “The Nightmare” Shepherd vs. Tayo Odunjo will feature on the professional card of the already stacked MTK Global MMA event on Saturday 13th October at Indigo at The O2 Arena. 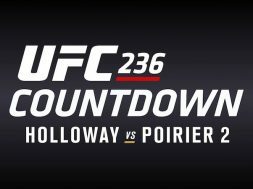 Jahreau “The Nightmare” Shepherd (1-1) is not resting since getting his first professional win against Marcin Zwyica at Bellator 200 in May. 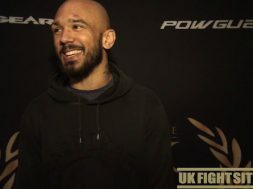 The former Killacam middleweight champion is also scheduled to fight Karl “Shifty” Donaldson at BAMMA Fight Night London on Thursday 28th June at York Hall, London. Shepherd trains out of the Pound for Pound gym with the up and coming Savage Squad. Tayo Odunjo has the difficult task of facing The Nightmare in his professional debut. Odunjo made his explosive MTK Global MMA debut against Jake Watkins in May. Odunjo brutalised Watkins in the first round forcing the referee to step in and stop the action. Tayo trains out of Revolution Martial Arts and has an amateur record of 3-0.